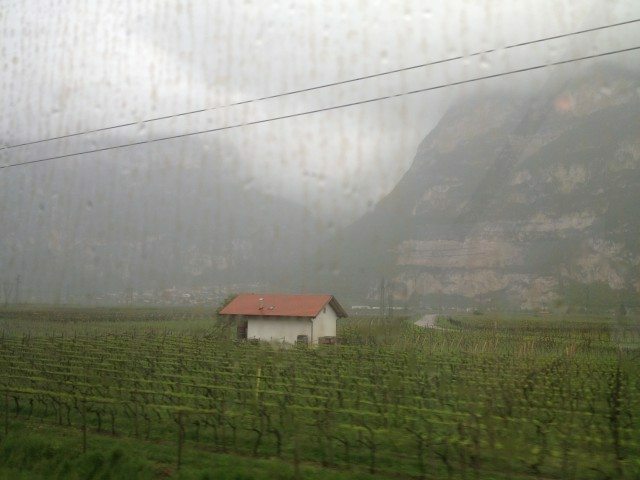 Running down the Alps from Innsbruck to Milan, the train running in and out of tunnels, with the tumbling water of of milky streams, eager to keep up with us, always by our side as we worked down from the pass of pine mountainsides wispy with fog. The water builds its ‘experience’ from stream after stream to become a determined broad-shouldered river in vine-carpeted valleys with orange-tiled roofs until we reached the meandering Po, that loops lazily through the alluvial plain like an old man wandering for his morning café. The train keeps the same speed, but the river has aged, looping occasionally under the tracks that lean purposefully through the dessicant urban undercarriage that always accompanies the tracks into a major city. 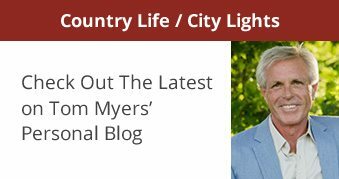 I’ve often romanced the scene – how much could you learn about a city by cataloguing the people, the abandoned sites, the junk that inhabits the back end of a city? But should you disembark you will learn how difficult the research and how paltry the findings. No, I have a path to follow, and will go on my way, passing it as I pass islands on my boat, imagining the mystery beyond the rocks and surf and line of trees, when the actuality is old lobster pots, the smell of guano, and mosquitoes. 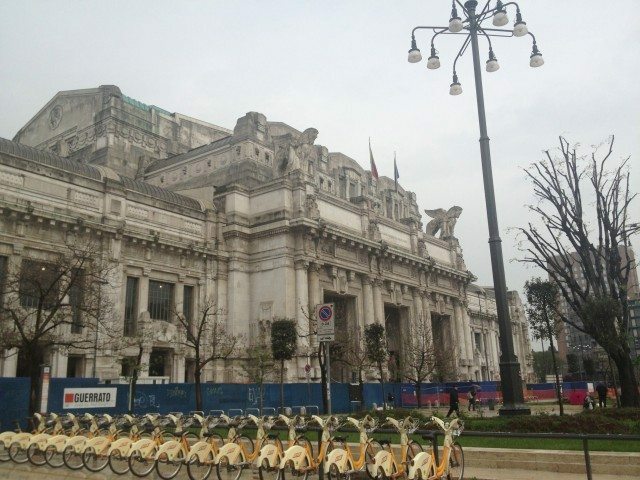 Spat out in the amazing Milan train station – off to a meeting.